We offer the best quality on market to our customers. 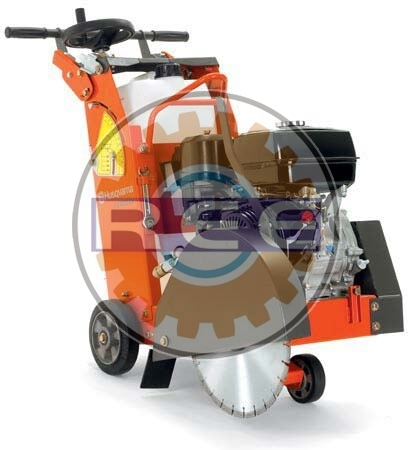 As a Manufacturer, Supplier and Exporter, we are elated to present Concrete Asphalt Cutter. We undergo a thorough manufacturing process under strict guidance of quality controllers to ensure we deliver nothing but unequaled quality. Our quality team allows us to provide a quality that is in acquiescence to the quality grades set by the industry. Backed by a team of skilled professionals, our company manufactures and trades Concrete Asphalt Cutter. Obtainable in several maximum blade diameters, cutting depths, motor/engine and overall dimensions, these efficient asphalt cutters are massively appreciated. To proffer the best quality possible, we conduct a series of stringent tests on multiple parameters. Blade Height Adjustment Wheel Wheel Wheel Wheel Wheel/Hyd. Hyd. Hyd. Hyd. Hyd. Feed Advance Manual Manual Manual Chain Chain Hyd. Hyd. Hyd. Hyd.